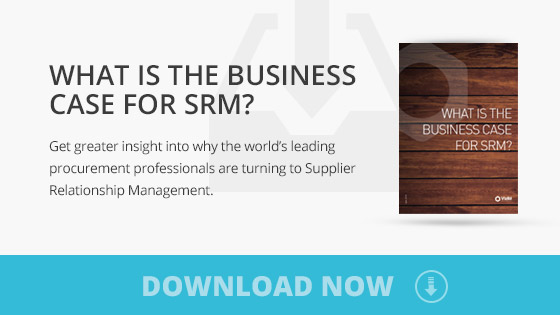 What is the Key to Capturing Supplier Innovation? Businesses are constantly looking for ways to maintain competitive advantage and maximize value and profits. One channel that is being maximized by many of the world’s leading companies is supplier innovation. This is the process of collaborating with strategic suppliers to bring new ideas to the business. However, capturing supplier innovation is not as easy as it sounds. To get the most from supplier innovation businesses need to prepare, nurture and then harvest, much like a farmer. Preparation is key to getting the whole process moving in the right direction. Your team need to communicate and discuss their ideas and aims. This not only helps the supplier understand what is expected of them but it also generates new levels of trust and understanding. Therefore, ensure that your strategic suppliers have a clear understanding of your company’s needs and priorities and make sure that it is easy for them to share their ideas. Finally, highlight the benefits of working together, emphasizing to suppliers what they will get out of the relationship. Nurture new ideas that are presented. Ensure that your team has a robust process in place to evaluate ideas, and make sure that they understand what the potential benefits are as well as the risks. Constant communication is important during this nurturing process – it will ensure that suppliers understand which direction to head in. Feedback is key to maintaining trust, and will show suppliers that their time and effort is not wasted. Harvest your new innovations. Keeping in mind your external stakeholders, how are you going to introduce your ideas to the market? It is very important to find terms that suit both you and the supplier. Otherwise mistrust will build and future projects may be jeopardised. Define “supplier innovation” – It is imperative that procurement leaders clearly define supplier innovation and highlight the outcomes they are looking for. The main reason for this is that, at present, suppliers tend to be apprehensive about innovation. They believe it is another cost cutting scheme by buyers. Therefore, if the buyer spells out exactly what is meant by innovation then suppliers will be more likely to get involved. Trust – This ensures that suppliers are happy to share new ideas with you openly, and reassures them that they will share the benefits. This leads onto providing clear incentives for suppliers so that they are motivated to come up with new ideas but also know where they stand when something is a huge success. Development – Make sure that your team is large enough and has the right capabilities to develop ideas. As Clayton Christensen has previously discussed, an enterprise’s capabilities also defines its constraints. Therefore, understand if your current team will be able to drive innovation forward with the resources they have. If not, then you need to clarify why and then work out what can be done to fix the situation. Resources and processes need to be put in place. Setting innovation goals for employees will also ensure that projects are picked up as part of their personal targets. Flexibility – All suppliers are different so be prepared to be flexible with the development of ideas. Measures – Set out some metrics to help track the performance and progress of ideas and suppliers. This is essential to the feedback loop, helping suppliers better understand what is and is not going well within the relationship. Listen – This is a two way relationship that will only work if both businesses are able to talk freely and be heard. At the end of the day it is also in the supplier’s interest to help you and secure your custom for the future, so listen to what they have to say as they know your business better than most of your employees! Capturing supplier innovation involves structure and trust. If these core aspects can be tied down then a collaborative relationship will develop which will produce new innovations on a daily basis.